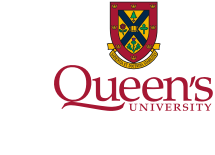 The new Queen's Foundations of Sales Management Program offers organizations a progressive approach to building competency and self-sufficiency in sales managers. Structured across three modules, the program equips Sales Managers with a practical tool kit of proven concepts and methods that enable them to develop and lead an increasingly sophisticated sales organization. In addition to the skills and knowledge gained in the core sales modules, Sales managers build a personalized Sales Manager tool kit for immediate implementation with their teams. The program is designed for sales managers who are new to the role or looking to sharpen their knowledge and skills in managing sales teams. Enhance your ability to manage sales performance. Get better results from your team. Improve the self-sufficiency of sales leaders in managing teams for superior results. The program emphasizes a combination of sales management goals, proven techniques, company success stories and role playing to raise participants conceptual understanding, practical skills and experiential learning in sales management. Participants finish the program by designing their own Sales Manager tool kit based on content spanning the 2-day session. Establish an effective framework to manage sales people across the employment cycle. Understand and apply proven approaches to maximize personal and team productivity. Using a motivating cause to drive engagement and sustain commitment across the sales team. Michael Cant is CEO of Blast Group Inc., a strategy and technology advisory firm focused on enterprise performance management. 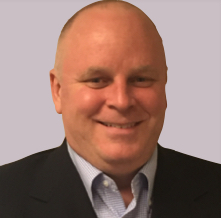 Michael has over 25 years of experience in telecom and technology services in Canada, the United States, Europe and Asia. 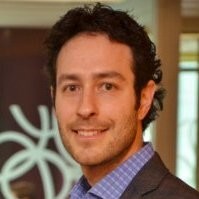 Prior to Blast, Michael led Sales Optimization and large-scale value creation projects for Bell Canada Enterprises. Michael also headed Global Marketing for CGI, where he led the transformation marketing and sales support functions and global delivery strategy. Michael is a Queen’s University alumni, with an Honours B.A. in Economics (1990). He has an MBA from the Ivey School of Business, Western University (1995) and a Diploma in International Business from the Stockholm School of Economics (1995). From his early days tinkering with test tubes and differential equations as an award-winning scientist to leading top performing sales teams at high growth tech start-ups, David Priemer brings a lifelong passion for uncovering the hidden insights in the world around us, to his practice as the founder of Cerebral Selling. Often referred to as the "Sales Professor", David helps organizations supercharge revenue growth, people development, and culture by combining core principles of science, empathy, and execution. The result; an empowered organization of modern sellers who think like their customers, learn fast, and win! 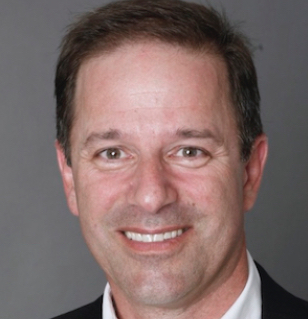 Previously David held several executive leadership positions at leading technology companies including Salesforce, where he was the Vice President of Commercial Sales and creator of the Sales Leadership Academy program. David holds a B.Sc. in Chemistry and Atmospheric Science from York University and a Master’s degree in Chemical Engineering from the University of Toronto. Gordon Stein is a Toronto-based keynote speaker, Toronto Star columnist and personal finance expert, who helps ordinary people use common sense techniques to ease their financial stress, so they can fully enjoy their professional and personal lives. He is the author of the best-selling Cashflow Cookbook: $2 Million of Financial Freedom in 60 Easy Recipes. The book has been featured in the Toronto Star, the Globe and Mail, Bruce Sellery’s Moolala podcast, The Wolf of Bay Street radio show and The Personal Finance Show with Beau Humphries. His mission is to improve financial literacy, tear down the taboos around money, and help Canadians build wealth and get out of debt. From new graduates to new parents to new retirees, Gordon combines his trademark wit and no-BS style to speak with employee groups, professional financial advisors and the media about simple tools for financial wellness. In his earlier career, Gordon was a sales, marketing and operations executive at Dell, Rogers Communications and Apple. He also led the learning and development function at organizations including CNC Global (now Randstad) and Rogers. He has been a featured presenter, facilitator and spokesperson for Apple and Rogers, and recently addressed the graduating Engineering class at his alma mater, Western University. He is also a lecturer and advisor at the Smith School of Business at Queen’s University. Gordon is a Professional Engineer and has a degree in Mechanical Engineering from Western University, along with an MBA from the Rotman School of Business. He has also completed the Canadian Securities Course. He has volunteered with the Western Alumni Board, the Western Engineering Dean’s Advisory Council and the Crescent School Board of Governors. He is currently an advisor to the Smith School of Business Executive Education. In his free time, Gordon is an aging downhill ski racer, keen sailor, fitness enthusiast and not-yet-great (ok, not even good) guitar player. His thoughts on personal finance can be found at cashflowcookbook.com. Heather is an accomplished executive with over 20 years experience in sales, marketing, customer service and P&L management. Heather is also an experienced Board Director in corporate, Crown Corporation and not-for-profit settings. Heather is currently President & CEO of Carlor Transformation. Carlor Transformation helps companies to take advantage of customer, technology and industry change to improve the performance of their business. 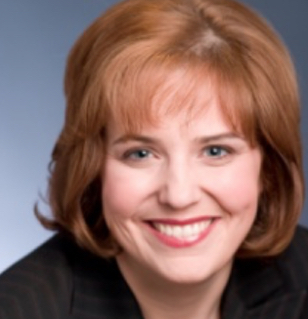 Prior to this Heather held roles as Chief Customer Officer, Chief Commercial Officer and Chief Marketing Officer at some of Canada’s largest companies. A true customer zealot and innovation expert, Heather is an award-winning leader of Canadian firsts in both consumer and business markets. Heather has received numerous awards and honours including being named to: Diversity 50 by the Canadian Board Diversity Council; Canada’s Most Powerful Women Top 100 through the Women’s Executive Network™; Canada’s Top 40 Under 40™; and the Leadership Foundation Fellowship program of the International Women’s Forum. Heather holds a Masters of Business Administration from Queen’s University and an Honours Bachelor of Commerce from Memorial University. Heather has completed the Directors Education Program of the Institute of Corporate directors and holds an ICD.D designation. 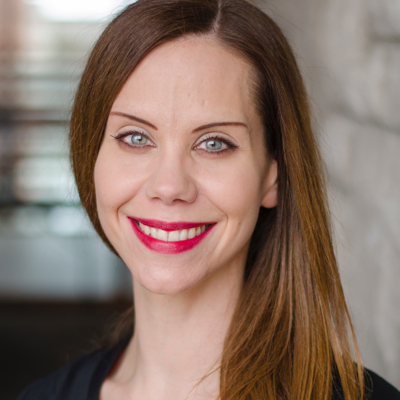 Heather is a Director of the Canadian Marketing Association and is Vice-Chair of the International Women’s Forum Toronto Chapter. Heather has been involved in many charitable and not-for-profit organizations, with a particular focus on mental health, distressed youth, and advancement of diversity, inclusion & belonging.